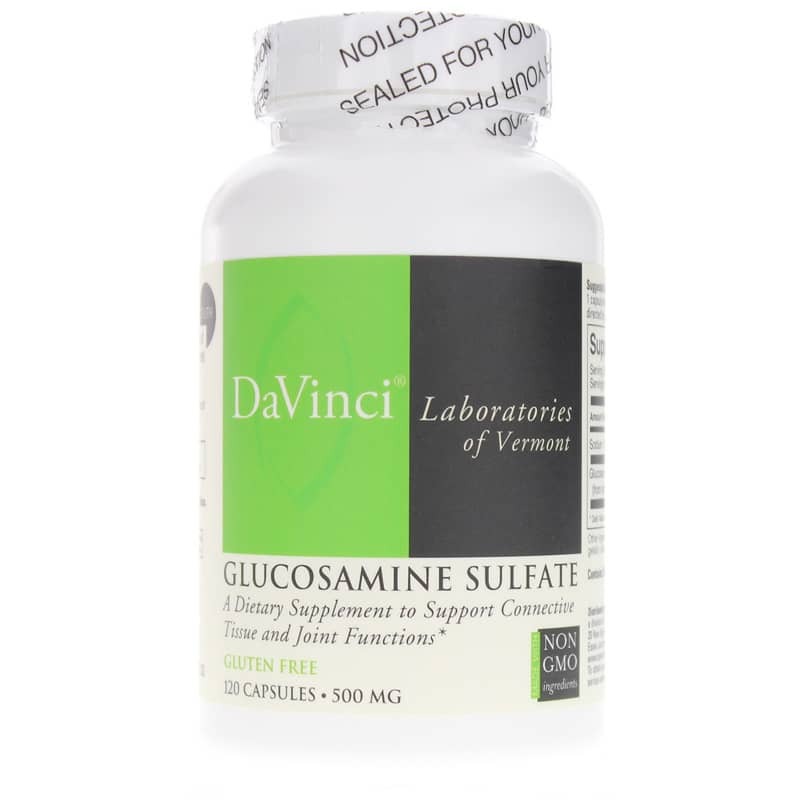 DaVinci Laboratories Glucosamine Sulfate is a dietary supplement to support connective tissue and joint functions. Glucosamines are the body's natural building blocks for connective tissues. They help strengthen and hold together ligaments, tendons, heart valves, nails, bones, and cartilage. Glucosamine is the starting point for the synthesis of such connective tissues as cell membrane lining, collagen, bone matrix, mucous membranes and transport molecules for vitamins, lipids and minerals. It is the building block of hyaluronic acid, which is a major cushioning ingredient in joint fluid and surrounding tissues. Glucosamine also supports the thick, gelatinous nature of the fluids and tissues in and around the joints and in between vertebrae. 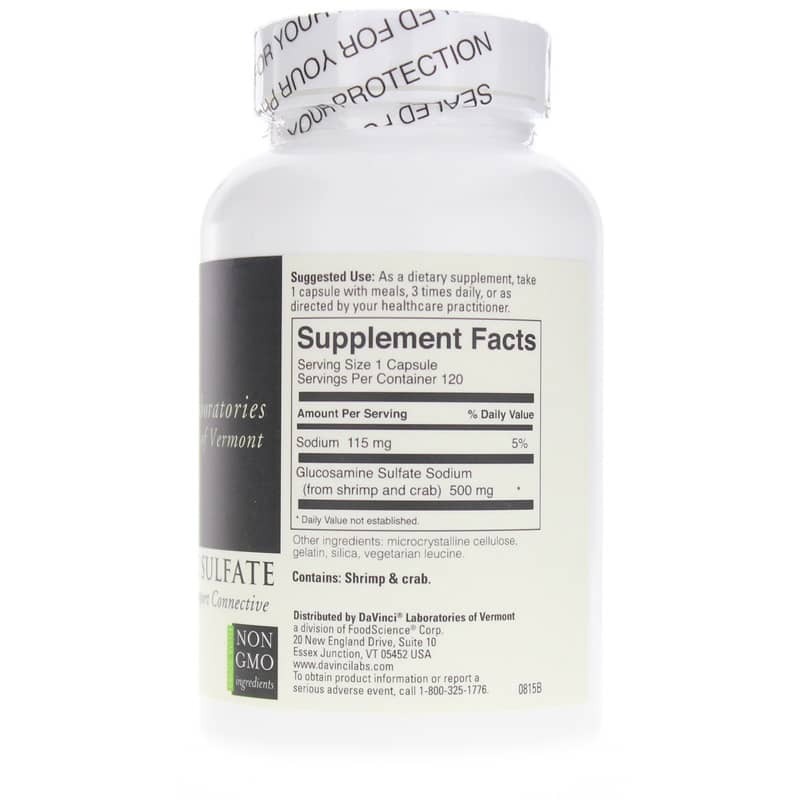 For people with digestive tract complaints, glucosamine helps support and repair the protective coat of the intestinal wall and supports the protective mucus membrane lining the respiratory tract. Glucosamine helps to increase the bodyGÇÖs capacity to counter the effects of skin disorders, such as psoriasis, or acne, where damaged skin may need to be replaced and replenished faster than normal. Other Ingredients: microcrystalline cellulose, gelatin, silica, vegetarian leucine. Adults: As a dietary supplement, take 1 capsule with meals, 3 times daily or as recommended by a healthcare professional. 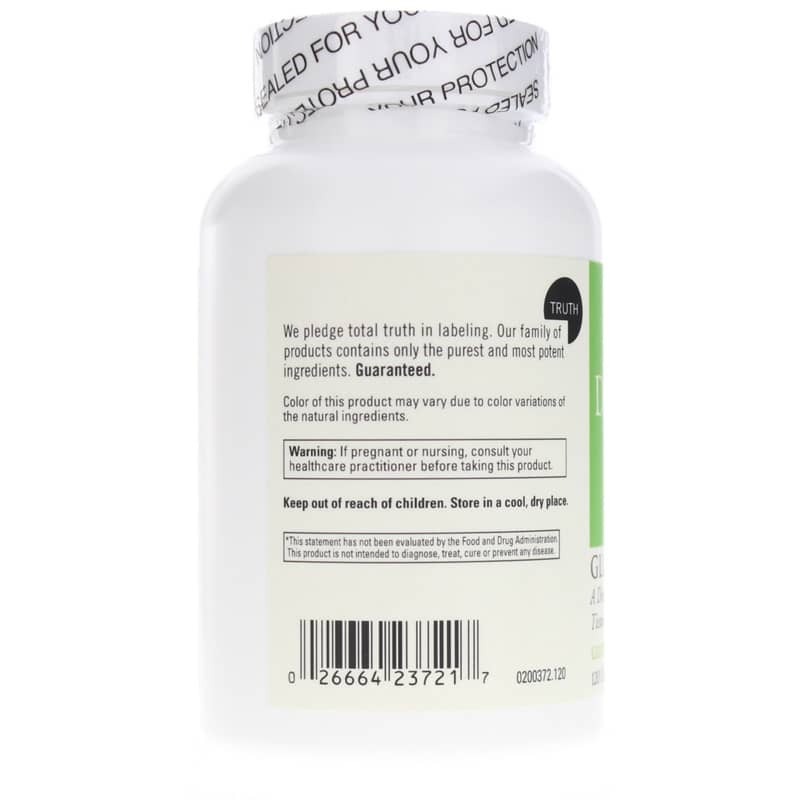 This product contains glucosamine (a derivative of shrimp and crab).